MILWAUKEE, WIS. — The national law firm of Quarles & Brady LLP today announced that partners David A. Beyer, John F. Dienelt, Scott McIntosh and Jeffrey H. Wolf were named to The International Who’s Who of Franchise Lawyers 2013 by Who’s Who Legal. Beyer, Dienelt, McIntosh and Wolf are among 363 lawyers in the world to receive this recognition. Who’s Who Legal identifies the foremost legal practitioners in several areas of business law around the world. Nominees are selected based upon comprehensive, independent surveys with both general counsel and private practice lawyers worldwide. Only specialists who have met independent international research criteria are listed. Beyer is the managing partner of the firm’s Tampa office. His practice concentrates on organizing and structuring franchise and other distribution programs; negotiating and preparing complex franchise, sub-franchise and distribution agreements; and representing franchisors and subfranchisors in compliance with franchise disclosure and registration laws. He also represents franchisors on technology-related issues, including website development, e-commerce, cybersquatting and channel conflict. Beyer has been listed as a Legal Eagle by Franchise Times magazine for several years, selected for inclusion in The Best Lawyers in America® and Florida Super Lawyers® for Franchise Law consistently for several years. As a leader in the development of franchise law in Florida, he has served multiple terms as chairman of the Franchise Law Committee of The Florida Bar. Beyer earned his law degree from Vanderbilt University Law School and his master’s and bachelor’s degrees from Tulane University. Dienelt is the managing partner of the firm’s Washington, D.C. office. He is a litigator with 30 years of trial and appellate experience, particularly in franchising, antitrust, intellectual property and other commercial cases. He concentrates on complex and enterprise-threatening litigation, including class actions. He has been listed as a Legal Eagle by Franchise Times magazine for several years, in The Best Lawyers in America® consistently since 2003 for Franchise Law, was named a Best Lawyers® 2014 Washington, D.C. Franchise Law “Lawyer of the Year” and was selected for inclusion in the 2013 Washington, D.C. Super Lawyers® list for Franchise/Dealership. He speaks regularly at programs on franchising and teaches franchise law as an adjunct professor at Georgetown University Law Center and at the University of Virginia Law School. He earned his law degree from Yale Law School, holds a master’s degree from the Fletcher School of Law and Diplomacy at Tufts University and an undergraduate degree from the University of Virginia. McIntosh practices in the firm’s Washington, D.C. office. He has a broad-based practice in franchising law, with significant experience in myriad business, litigation and regulatory issues that confront franchising companies. 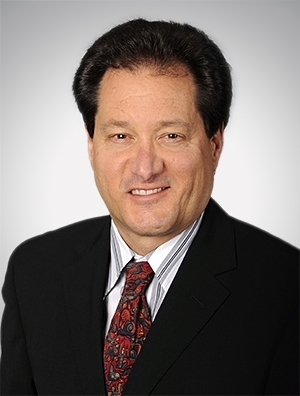 He has represented franchise clients in both state and federal litigation, including complex multiple party lawsuits. McIntosh also counsels clients on franchise relations, terminations, transfers and regulatory compliance. His experience includes preparation of franchise and license agreements, area development agreements, numerous collateral agreements and disclosure materials for domestic and international development. McIntosh is listed in The Best Lawyers in America® for Franchise Law and was selected for inclusion in the 2013 Washington, D.C. Super Lawyers® list for Franchise/Dealership. He earned his law degree from Georgetown University Law Center, holds a master’s degree from Georgetown University and earned his undergraduate degree from the University of California at Los Angeles. Wolf practices in the firm’s Phoenix office. His national litigation practice focuses on representing franchisors, manufacturers and marketers of products and services. Wolf regularly handles franchise termination matters as well as more complex franchise cases involving issues affecting the entire franchise system. He also has substantial experience handling cases involving transfers, rights of first refusal, the implied covenant of good faith and fair dealing, trade secrets, covenants against competition, trademark infringement, and encroachment. Wolf has been listed as a Legal Eagle by Franchise Times magazine each year since 2004, in The Best Lawyers in America® and Southwest Super Lawyers® consistently since 2007, and in 2012 and 2013 Southwest Super Lawyers® recognized him as one of the Top 50 attorneys in Arizona. Earlier this year, he was elected to the advisory board of the Scottsdale Center for the Performing Arts. Wolf earned his law degree from Washington University in St. Louis and his undergraduate degree from the University of Hartford. Since 1996, Who’s Who Legal, published by Law Business Research Ltd., has identified the foremost legal practitioners in multiple areas of business law. In total, this site features over 16,000 of the World’s leading private practice lawyers from over 100 national jurisdictions. It is impossible to buy entry into this publication. Quarles & Brady LLP is a full-service law firm with more than 450 attorneys practicing from offices in Phoenix and Tucson, Ariz.; Naples and Tampa, Fla.; Chicago, Ill; Madison and Milwaukee, Wis.; Washington, D.C.; and Shanghai, China. The firm provides an array of legal services to corporate and individual clients, which range from small entrepreneurial businesses to Fortune 100 companies. Additional information about the firm may be found at www.quarles.com, and on Twitter, LinkedIn and Facebook.